Serious cracks in the foundations of buildings usually cause a lot of worries. Although some people may ignore them, such problems are a greater threat to the integrity of affected structures and safety of occupants. Since foundations bear the overall weight of the structure and its components, they should always remain compact and stable. Thus, even seemingly small cracks should always be accorded a keen an immediate attention. Grouting is one of the best approaches for fixing cracks and other deformities on foundations. Unlike other structural repair procedures, grouting requires expertise and, a better understanding of suitable materials for the procedure. That is why it is always advisable to leave the task to our company. We are the grouting professionals that you can always rely on when experiencing cracks or other forms of damage on the foundation of your building. Our company offers professional grouting services for both homes and business property across Singapore. By choosing us, you are guaranteed affordable and lasting grouting solutions. Some people can say that there is no need knowing how and why deformities on foundations take place since a professional can always fix the problems. That could be true but, remember, information can always save you from a lot of inconveniences and losses. As you will find out herein, there are some causes of foundation deformities impacted by mistakes during construction. And, such can be easily prevented if you know what constitutes a proper foundation. Below, we discuss some of the causes of foundation problems and how they occur. Most of the problems experienced in the foundation can be traced back to the time of construction. And, this is a common occurrence, especially in buildings that are designed and constructed by amateurs. Some architects and builders are not always very keen when laying foundations. In many cases, foundation are erected in a haste, without a proper understanding of the environmental conditions and all the recommended construction procedures. As a result of this, the foundations are never strong enough to hold the structure and soon, start to develop deformities. Besides poor construction, cracks and deformities on the foundation can also be impacted by ageing. If the structure is too old, the foundation will no doubt become weak and begin to deteriorate. On the other hand, foundations can also experience deformities as a result of poor environmental and weather elements like, floods. Although sometimes floods are inevitable, poor construction and effects of ageing can be easily averted. And, grouting is the best approach to reviving the strength and appeal of your foundation. In the past, people have tried various measures to fix foundation deformities but, quite a number have never been successful. Grouting is the only structural repair technique that has proven effective in fixing deformities experienced in foundations. The procedure entails the creation of drills, stretching deep into the foundation. However, the length of the drills is usually based on the damage and level of impact. After the drills are created, the surfaces are then secured by sealing and nailing, using grouting. 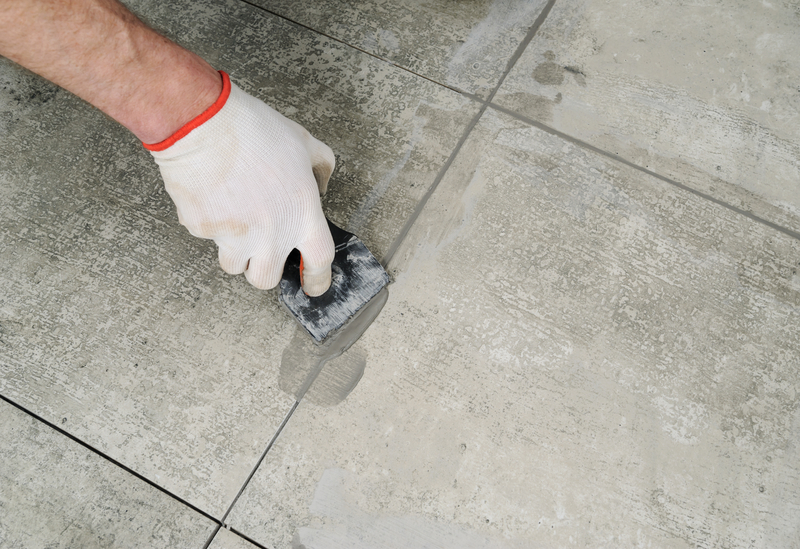 If grouting is conducted effectively and, by using quality materials, the foundation will be accorded added support. Professional grouting can extend the lifespan of your foundation for a period of up to ten years. The procedure will also revive the appearance of the foundation so your property does not look too old and poorly maintained. However, the foundation will have to be inspected at different intervals to ensure that the remedies are effective. At Waterproofing Singapore, we provide professional grouting services Singapore that can effectively address all the above and other deformities on foundation of houses. Our company has grouting specialists with great experience on the procedure and, will no doubt provide the best solutions to all your worries. Besides, we have also invested in cutting edge grouting technologies, which are much safer and affordable. These are some of the key reasons behind our ability to provide the best grouting services Singapore. To us, grouting is not just about fixing the visible cracks or deformities but, reviving the strength and appeal of the entire structure. In order to achieve this, we always begin all our procedures by a thorough inspection of the foundation. Whether the foundation is beneath or above the ground, there are some hitches that cannot be easily spotted without proper inspection. Besides, the deformities could be impacted by problems in other parts of the structure other than the foundation. Through the proper inspection that we conduct, we will be able to highlight all the problems and determine a suitable solution. After the inspection, we will prepare a quotation in consultation with you for tailor-made grouting solutions. If the diagnosis found out problems in other parts of the structure, we will also highlight them in the estimate so you have a better understanding of what to expect from us. In case you are planning to do grouting sometime later, we can still do the inspection and provide an estimate to help you with planning. Depending on the condition of the structure, there are various grouting approaches that we can pursue. However, we always treat each case in a unique way. Our experts will select the most durable and safe materials for grouting to save you from hiring the services frequently. We understand that some clients are knowledgeable on grouting and, usually come with specific demands on how the procedure should be done. But, even in such cases, we will still advise you on the appropriate grouting techniques and materials. Due to the potential risks of deformities experienced on foundations, we are always quick to respond to requests by clients. Even if you may need grouting services for your home or business property urgently, we can always respond with the best solutions at your convenience. In order to effortlessly get professional, affordable and reliable grouting services Singapore, get in touch with us for a free estimate. We guarantee tailor made grouting solutions for all kinds of residential and commercial buildings.